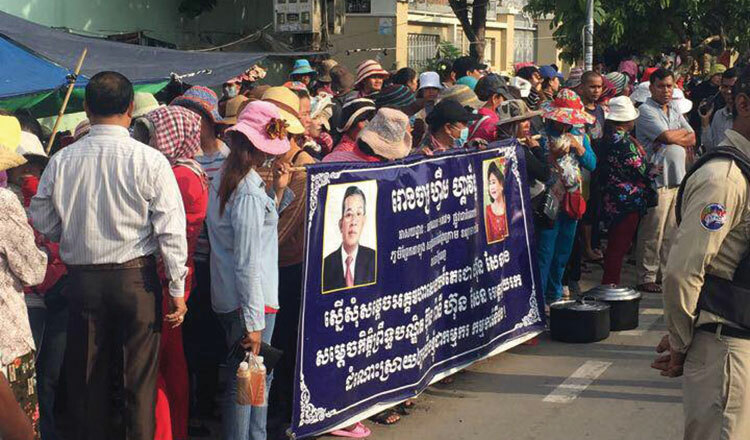 Prime Minister Hun Sen yesterday ordered the Labour Ministry to find a solution for workers of the First Gawon factory in Chak Angre Krom commune in Phnom Penh who have been protesting for weeks over unpaid wages. 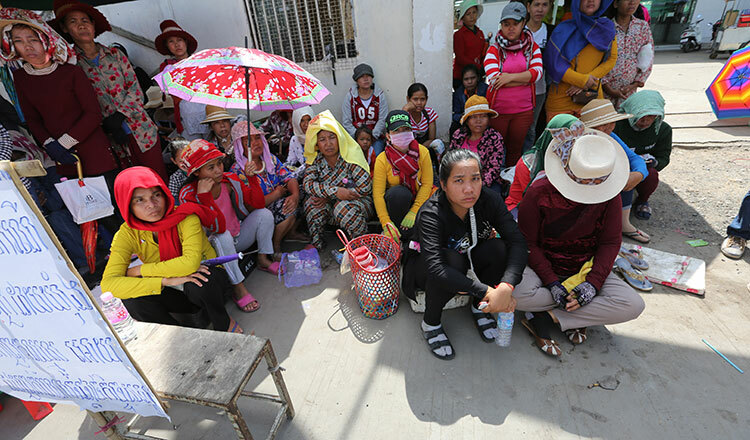 Hundreds of garment workers from the factory have refused to continue their work because they say the owner has not paid their wages since December. 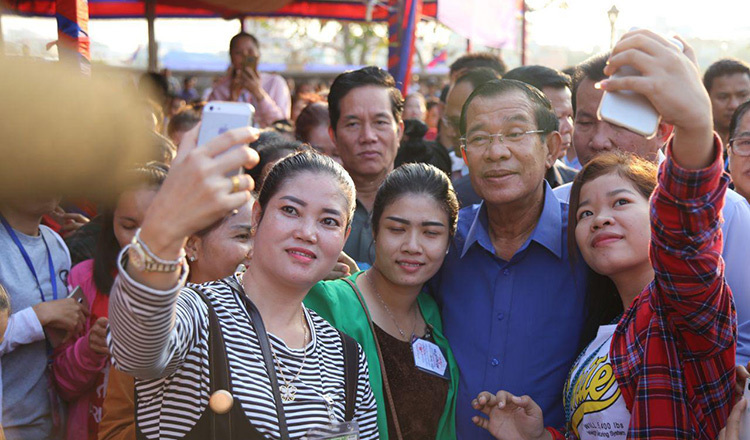 Speaking to thousands of workers in Kandal province’s Koh Thom district, Mr Hun Sen said that the Labour Ministry needs to find a solution for the factory workers who have been protesting for months. In March, the government said it was prepared to pay out $4.6 million to about 4,100 workers whose bosses fled without paying their wages. The First Gawon factory dispute has nonetheless dragged on, and Mr Hun Sen also expressed his frustration over the case yesterday. 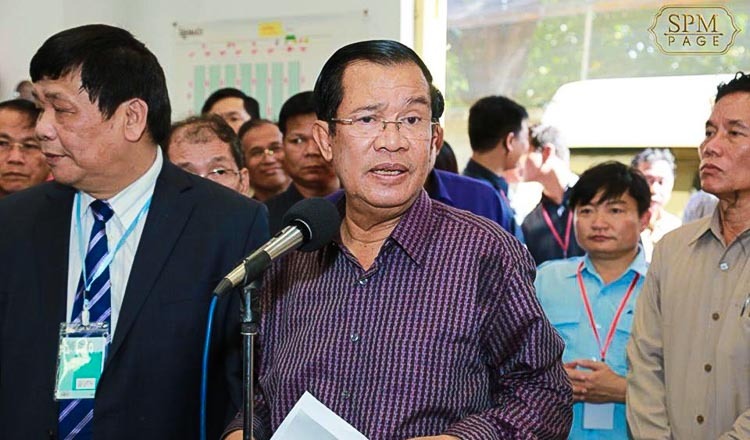 Mr Hun Sen said that the workers tried to bring a petition to his private home many times and suggested that the efforts of the Labour Ministry has so far been fruitless. “One time, they stopped my car to offer me their petition because the Labour Ministry is not finding a solution for them,” he said. Sat Samnang, secretary of the Coalition of Cambodian Apparel Workers’ Democratic Union, said that the workers were ecstatic that the Prime Minister was speaking on their behalf. In response to Mr Hun Sen’s statement, Prak Chanthoeun, a secretary at the Committee for the Settlement of Strikes and Demonstrations with the Labour Ministry, said that the committee has called for on-site meetings. “The committee called worker representatives and the company to meet each other to find a solution,” Mr Chanthoeun said. Mr Hun Sen added yesterday that an amendment is due on an article in the labour law that regulates severance pay. Mr Hun Sen said that he is encouraging the amendment of article 89 of the Labour Law on worker protection and severance pay to ensure that employers pay workers their dues. He said that the employers often flee after they have gone bankrupt, leaving workers penniless. 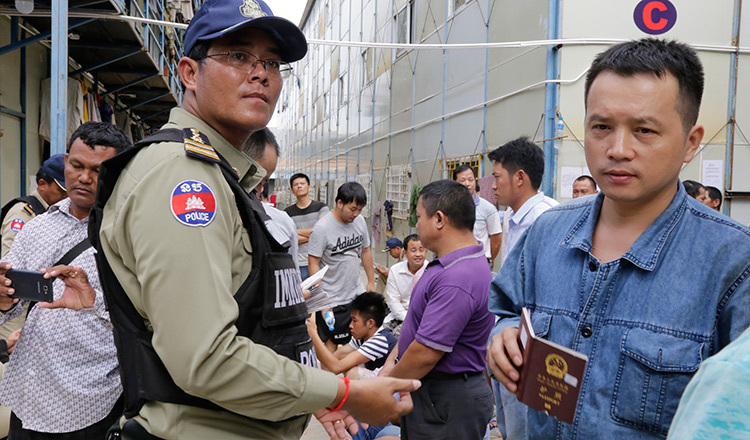 Kaing Monika, deputy secretary-general with the Garment Manufacturers Association in Cambodia, said that the association is worried the amendment could have unintended repercussions in the industry. “We appreciate the government intervention and the care toward affected workers. We do not want to see distressing closures, that’s why it’s important that all stakeholders work together to maintain our country’s competitiveness and prevent this situation from happening in the first place,” Mr Monika said. “Like it or not, the closure of factories would prompt the government to come up with certain measures to protect workers and prevent salary losses and other related severance benefits,” he said. “Any new measure, be it in the form of wage or unemployment insurance or payment to clear past seniority, would be a financial burden on the industry as a whole,” Mr Monika said.